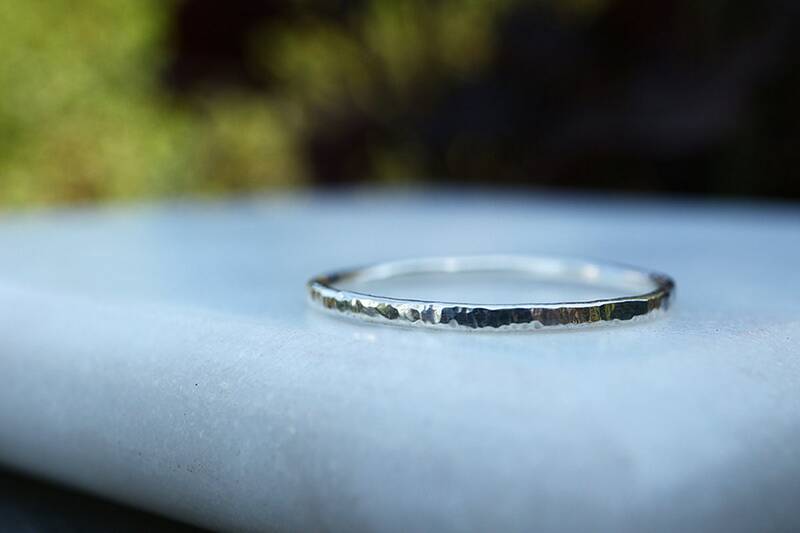 Textured Hammered Stacking Ring in Sterling Silver, made to order just for you. These rings are made using 1.3mm beaded wire, perfect for pairing with any of the gemstone stackers in my shop! If you're selecting 5 rings for one finger, it is recommended for you to go up 1/2 a size UK - e.g. from an N to an N 1/2. 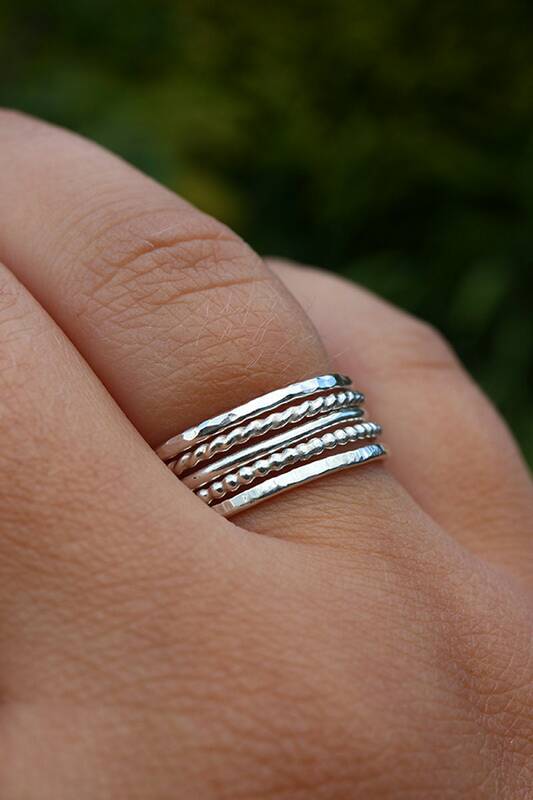 For 10 rings to be worn on the same finger I recommend at least a size larger, e.g. 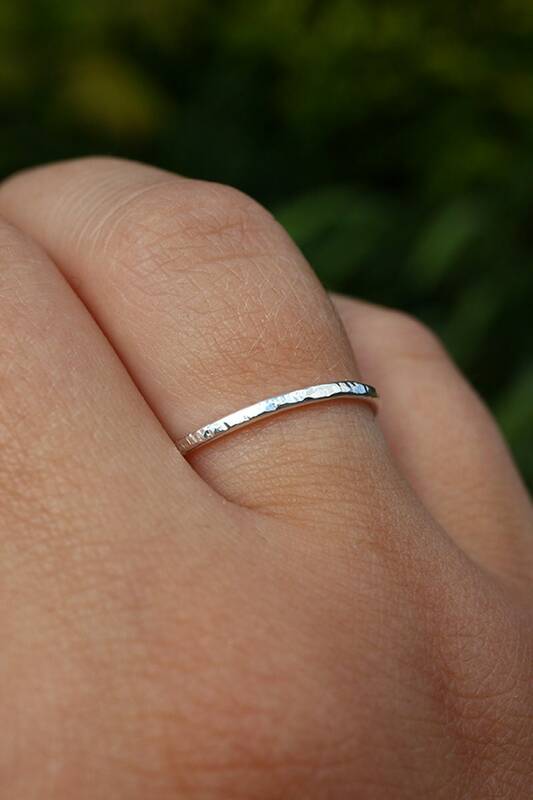 N to O or even a P.
Rings can be made in any size from UK A/ US 1 through to UK Z+5 / US 15. I have listed UK sizes, along with an option to select a US size - which you can choose by leaving a note with your order at checkout! To check your ring size using the internal diameter of any existing rings, you can see the chart on this website: http://www.ringsizes.co/. 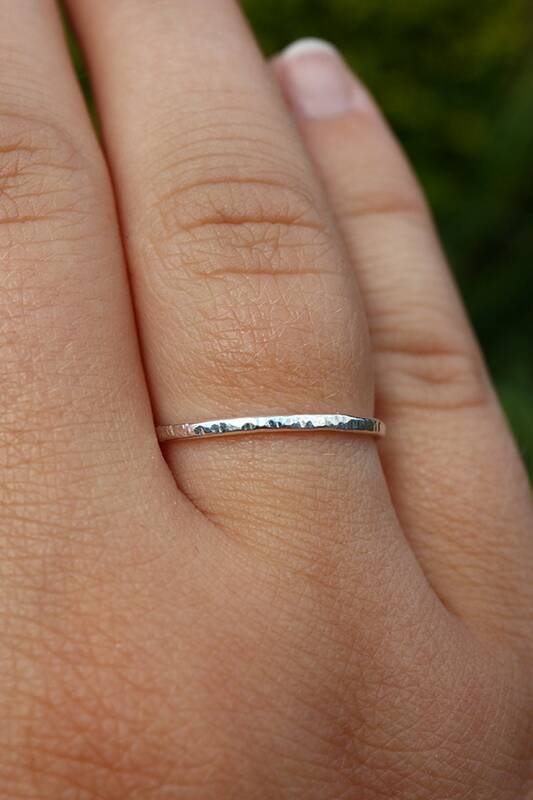 Be careful when measuring, as a mismeasurement of just 1 millimeter can make your ring incorrect by 2 and a half UK sizes! 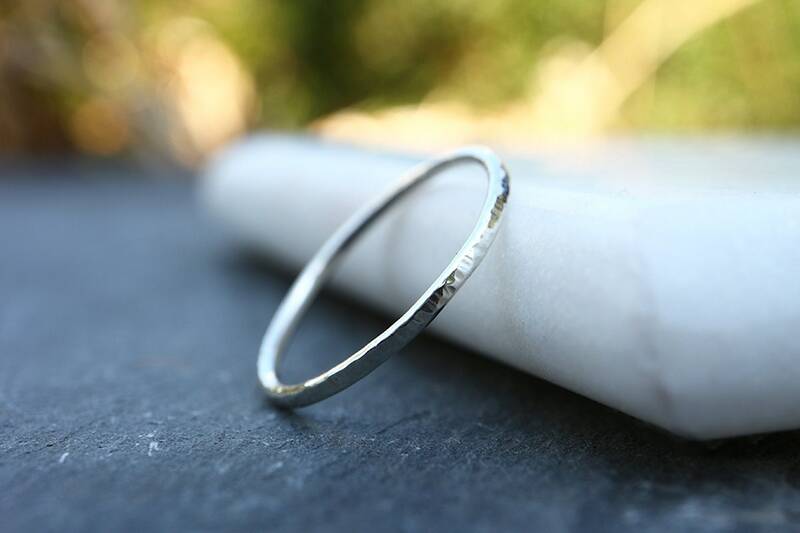 PLEASE NOTE: If you require a ring to be resized, there is a charge of £5 GBP for orders within the UK, and £10 GBP for international orders. Return postage is not covered. very delicate style which i love.